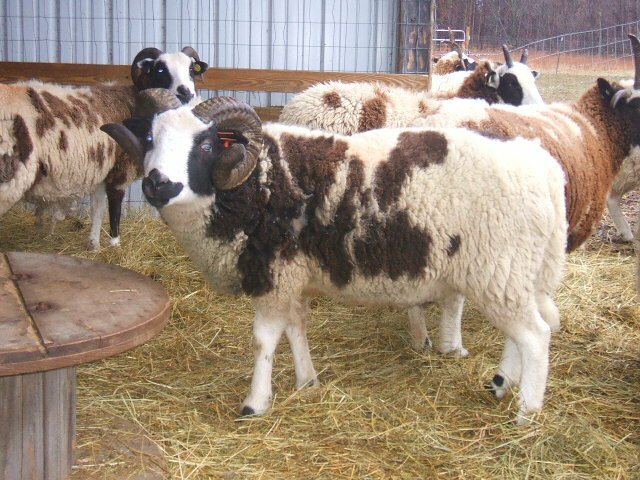 Here you will find Spot Hollow Farm's current Jacob flock sires. 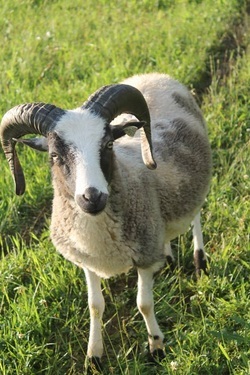 At Spot Hollow Farm we maintain a combined flock (rams and ewes) nearly year round for easier pasture management, due to this it is very important that all of our rams be respectful of humans and docile with the ewes and lambs. 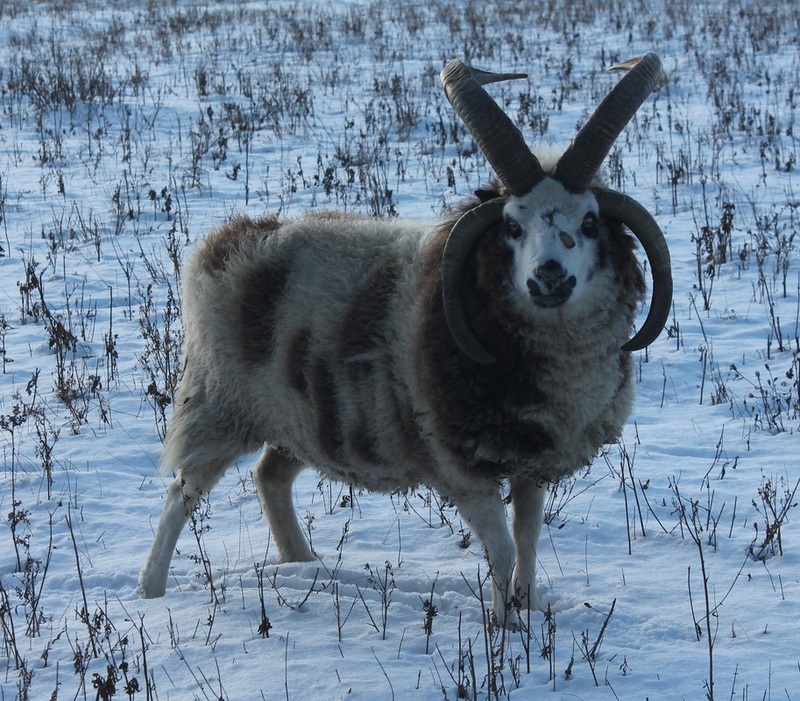 In addition to this temperment requirement, we also look for excellent horn structure, fleece quality, conformation, production ability and coloration. Spot Hollow Farm is home to many different lines from all over the country, and we continually bring in new stock to improve our lines and expand our genetic pool, because of this we can offer unrelated starter flocks to new breeders. Most of the rams below will have lambs born to them in the 2014 lambing season. At the bottom you will find past flock sires who no longer reside at Spot Hollow Farm but did leave offspring behind. 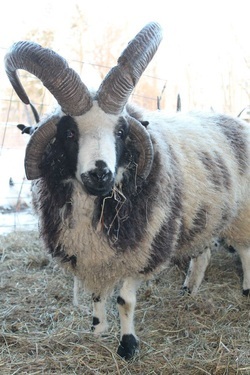 Seneca was sold as a ram lamb to Sweetgrass farms several years ago, he sired quite a few lambs there before returning here to sire some more. Seneca has a very mellow demeanor and is a gentleman to everyone. He has some very impressive horns, and he has put some wonderful hornsets on his lambs. Seneca is a lilac carrier and has a lovely fleece - long, soft and open with beautiful crimp. 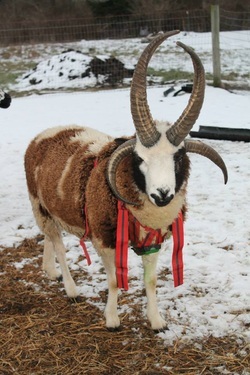 Chase is a very special ram. He was born in August to a 10 year old ewe who had already lambed once that year in January. 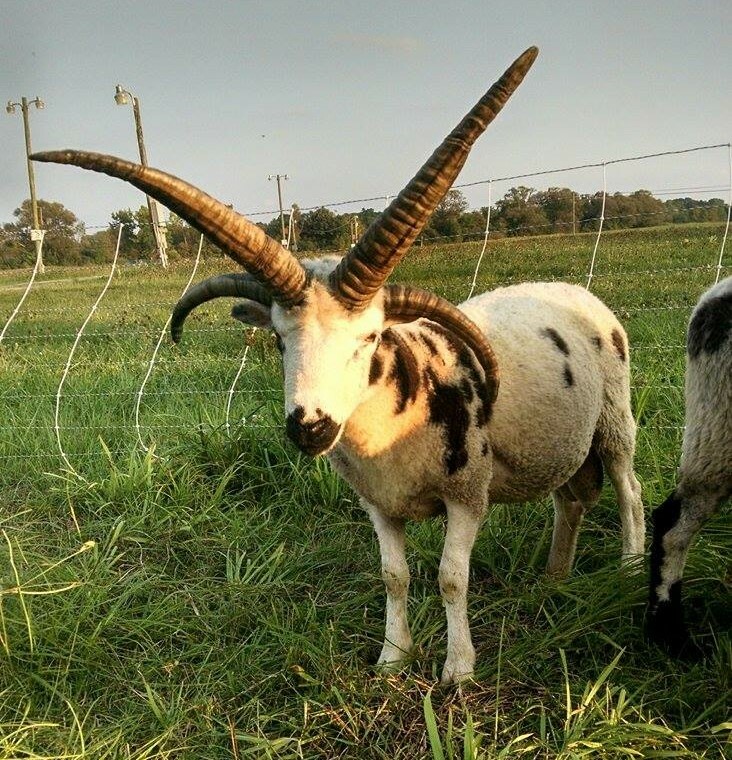 He is one of the only living offspring of my very first Jacob ram, Patrick, and he carries some primitive old lines from both his sire and Rockies' dam. 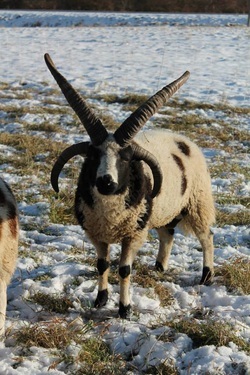 Chase stamps his lambs with a certain flashy look, as well as excellent horns (both 2 and 4). 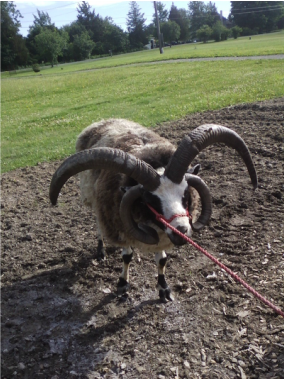 Chase is an extremely well mannered ram who was never halter "broken", but he accepts being lead with one without any resistance. 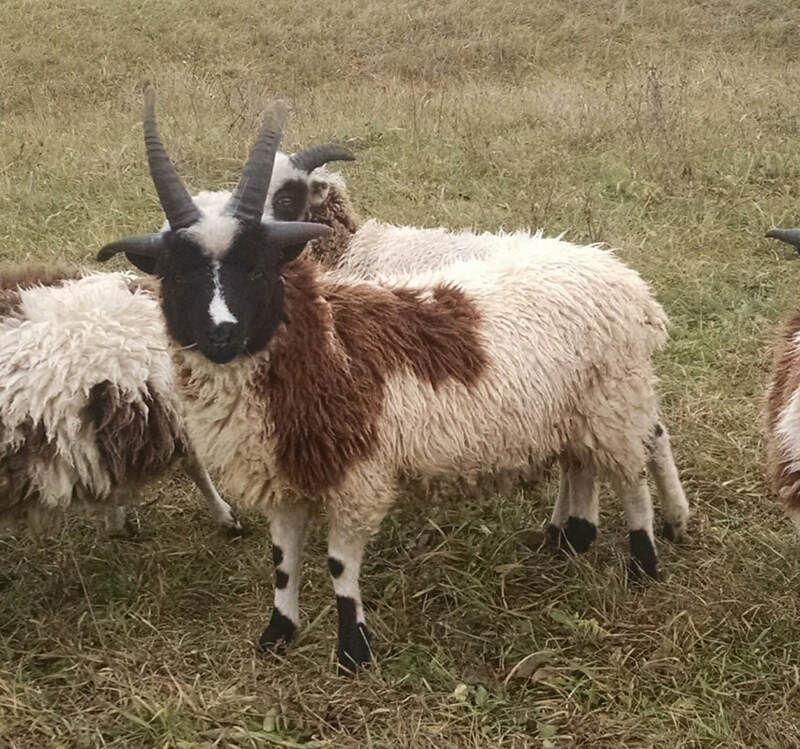 Chase displays many primitive Jacob traits including a mane/beard, the presence of a hair halo in his newborn lamb's coats and his ability to thrive on pasture with no human intervention. Chase is my peace keeper - he keeps all the other rams in line and teaches them to have manners with the ewes, lambs and me! Sire of Machiavelli (retired), grandsire of Susie. Last year's homegrown flocksire pick - a very long and lanky boy right now, I think he will mature beautifully like both of his parents. 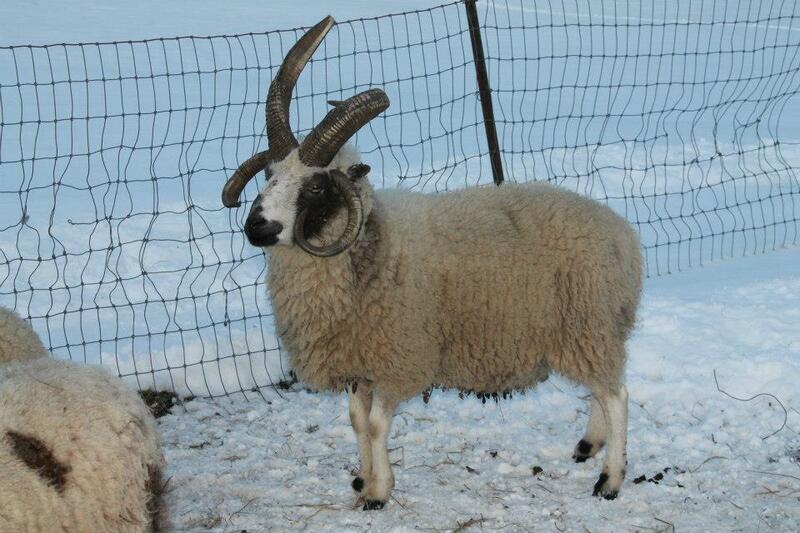 Heavy Maverick/Rockies lines in this boy's pedigree, and a lot of nice horn sets (his is pretty nice too!). 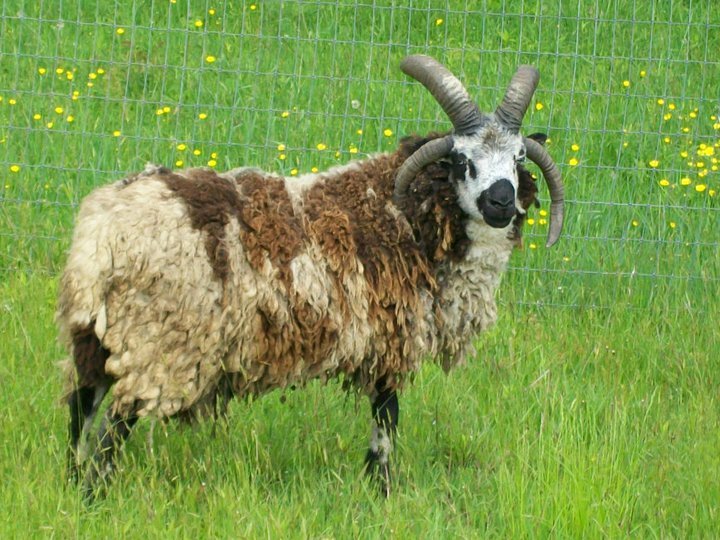 Zuriel also sports a soft, even, crimpy fleece and nice, symmetrical markings. 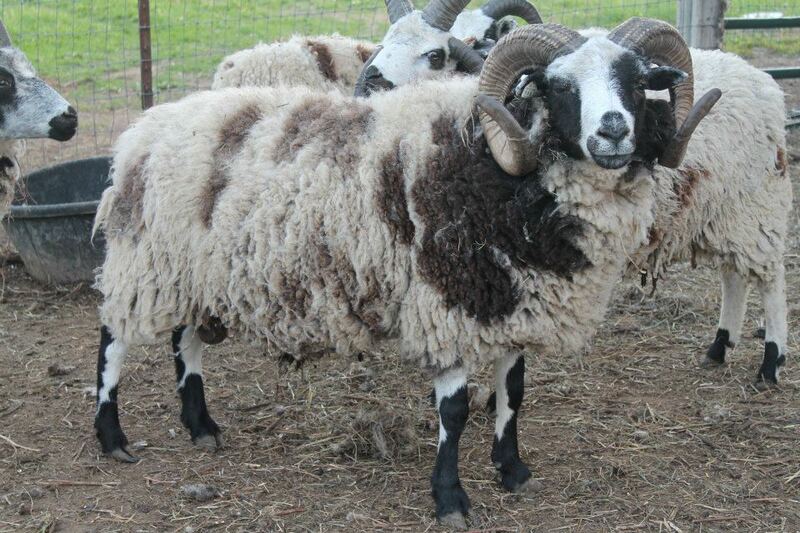 Yearling 4 horned ram with good horn mass and a decent fleece with more open crimp and medium handle. 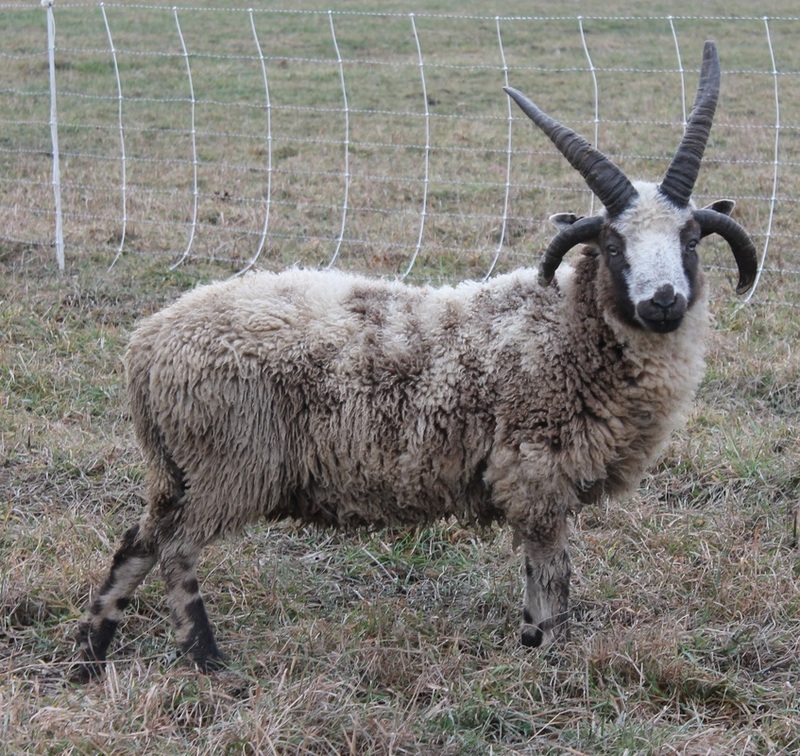 Older, primitive lines on this boy, with some very good 4 horned ewes in his background. Hardy twin with a fairly dense fleece, did well on winter pasture as a lamb. Nice flashy leg markings, a bold spotting pattern and a non-freckled fleece. 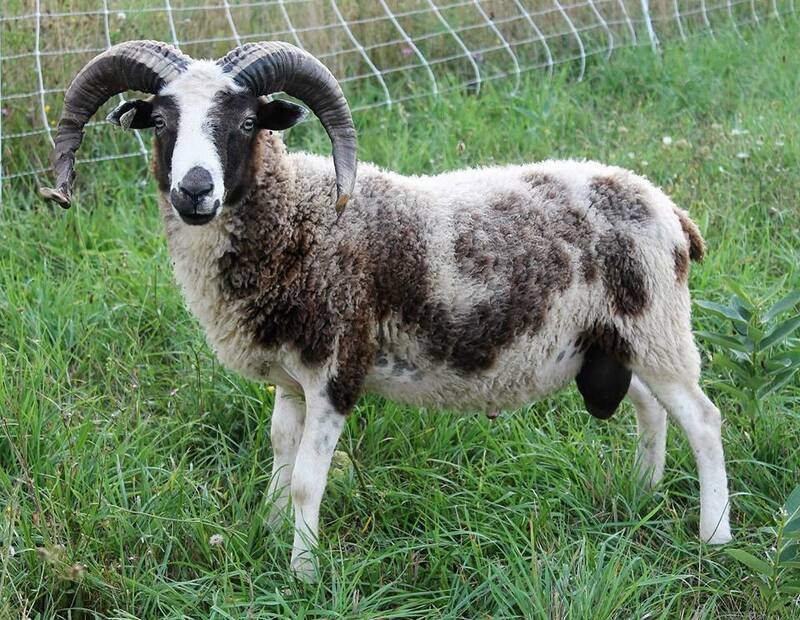 Handsome young lilac ram, good hornsweep and a decent fleece. 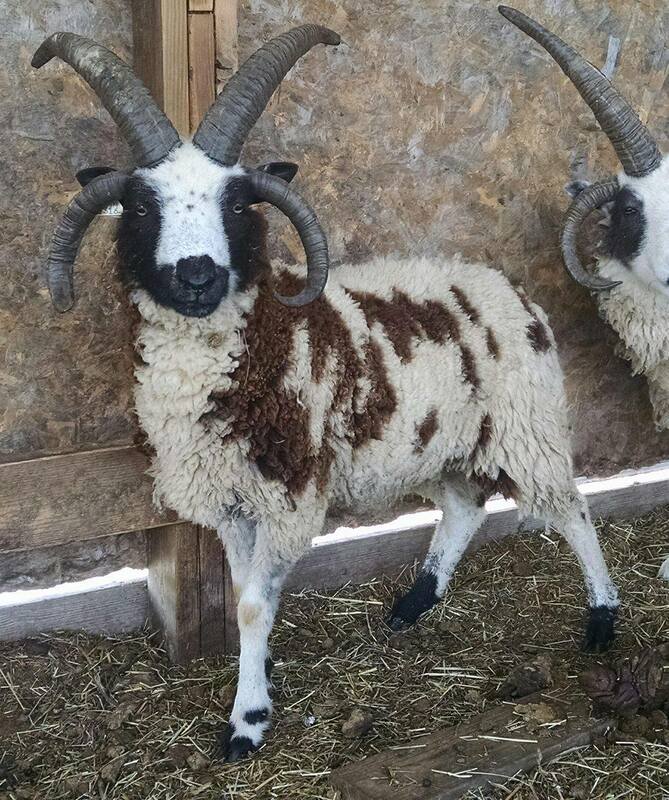 This ram has some good, strong 4 horned genetics behind him and lines that retain some of the more favorable primitive traits (hard hooves, good maternal instincts, alert and aware). He has bred some ewes here and is now ready to move on. 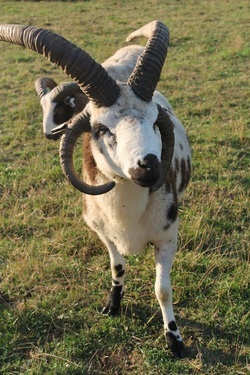 Tango has some of the widest horns we've ever seen, complete with some beautiful striping. He also sports a soft, ringlet fleece, deep lilac color, wonderful conformation and handsome markings like his father. Valerian came to us a couple years ago via the Moose Mtn. flock dispersal - he brings with him some long admired old lines that we look forward to continuing. 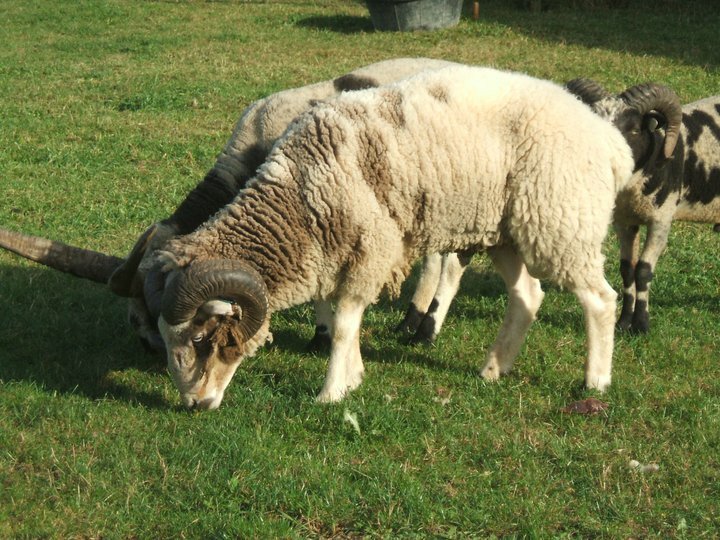 He is a stunning lilac ram with ice blue eyes, a lovely, crimpy fleece, gorgeous horn structure and excellent conformation. Parley is a handsome 2 horned ram with a stunning fleece - long, lustrous and open with gorgeous ringlet locks. He is one of his sire's only lambs and is out of one of our older girls. Parley is a lilac carrier and will be used on a few ewes here before being available in the fall. 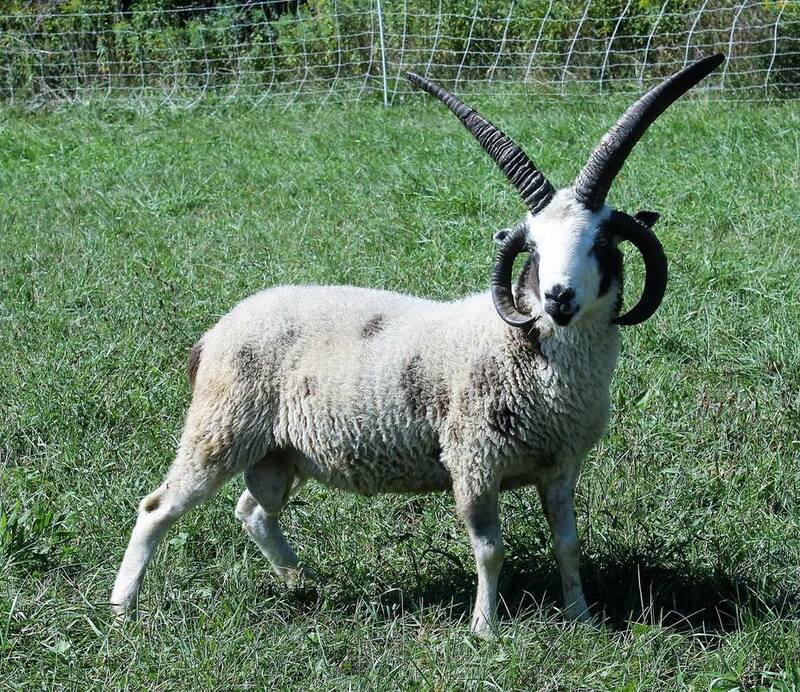 Handsome lilac ram with some impressive ewe horns in his pedigree! He is a well behaved boy, especially for his age. On the darker side, he will be paired with a few of our lighter ladies this fall before being available to a new flock. Sire of Loxley and Minnow. This boy's dam is a ewe I've admired for awhile (a Huntsberger Drummond daughter), so I was excited to have the chance to bring him home at AGM this year. 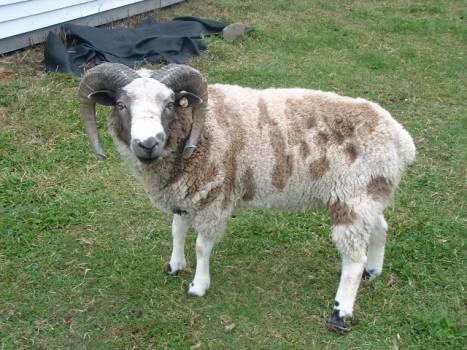 His sire was an unknown Sweetgrass ram lamb (he was an "oops lamb"! ), so he will be registered in the Foundation Flockbook. 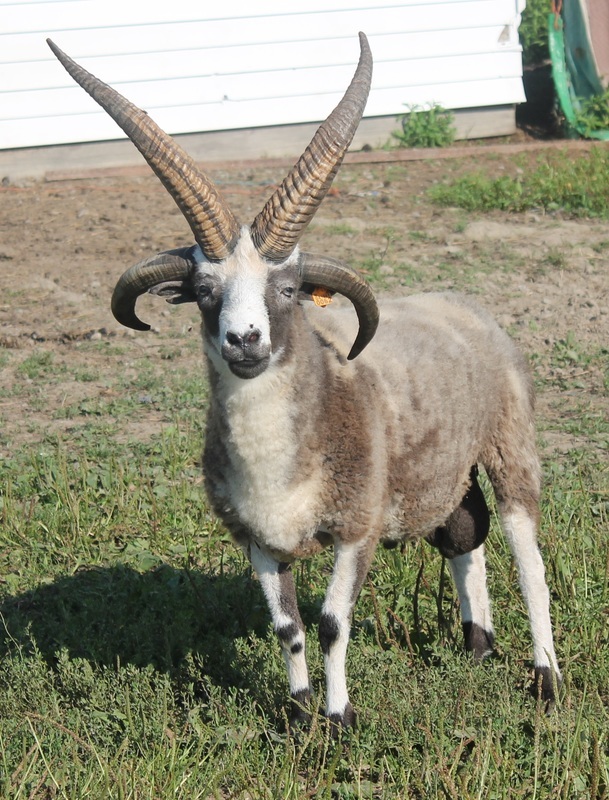 He has nice solid horns with good sweep, a slightly more primitive fleece (from the Huntsberger lines, I suspect) and a large frame for a lamb. Summer born lilac carrier ram. 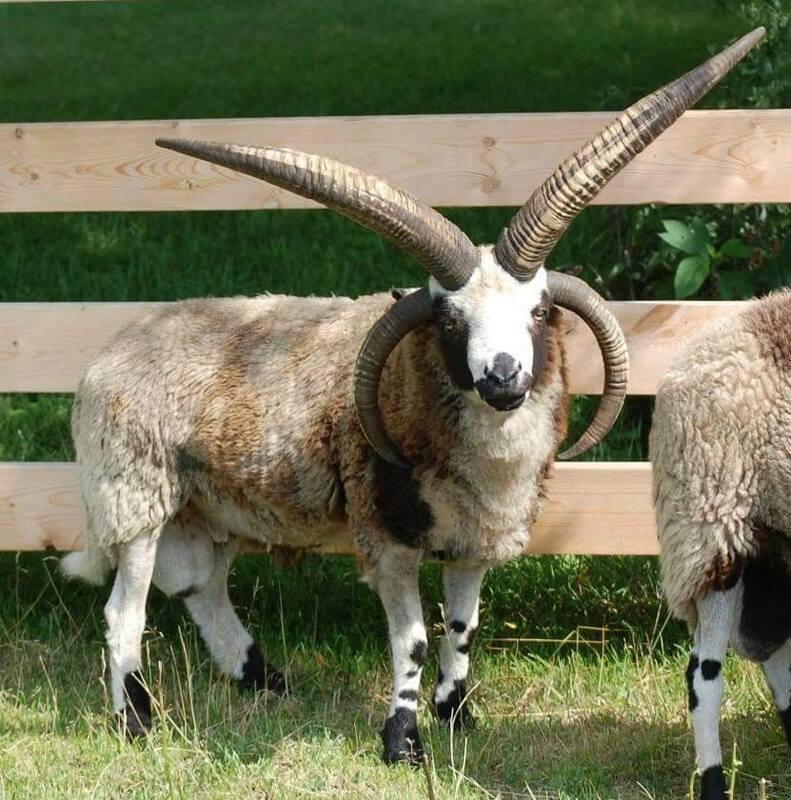 Impressive lateral sweep, and striped horns. Crimpy, lustrous fleece. Well known, old lines in this boy's pedigree - he will be one of his dam's last lambs. Tang was a ram who I had my eye on since he was just a small lamb, but I didn't end up getting him until he was over a year - he was slated for the butcher, but managed to end up here instead. 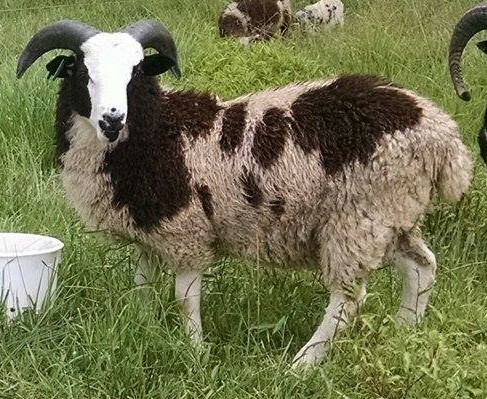 Tang is a beautiful 2 horned lilac ram, with wonderful horn sweep, a beautiful, long, locky and open fleece, and a petite but well proportioned frame. Sire of Perdy, Yael, and Tango. 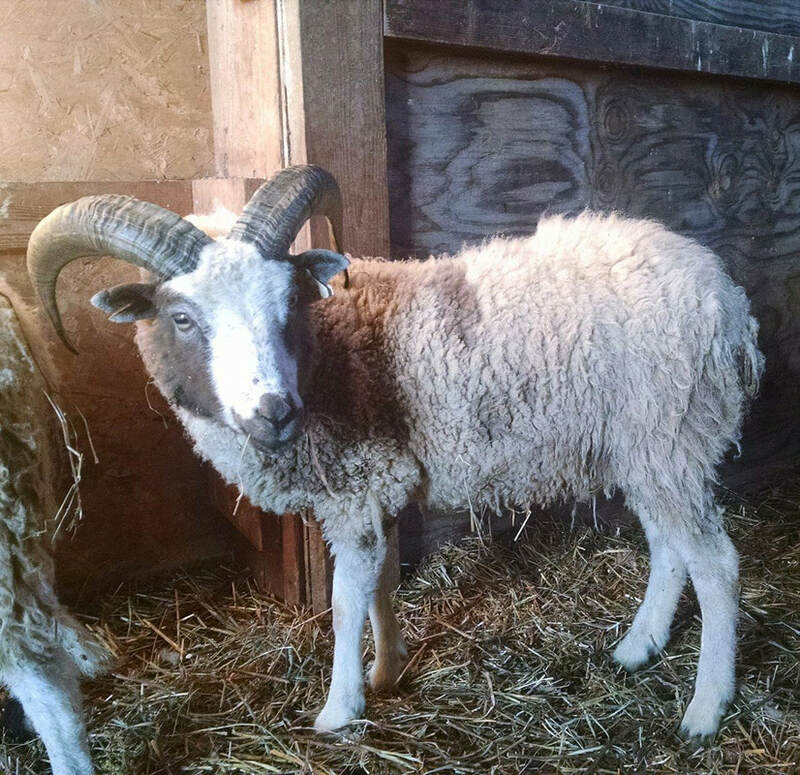 Poe is a handsome little lilac ram who came to us from Vermont in a trade for one of our ram lambs. 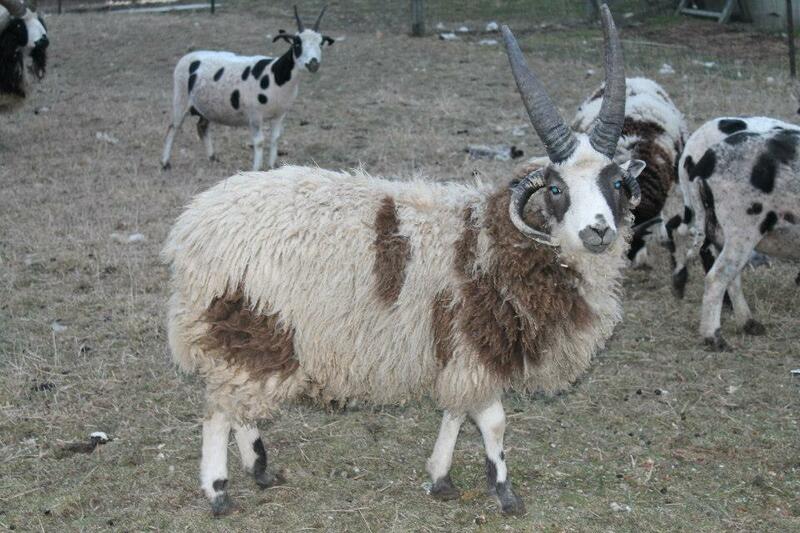 Poe has lovely, dark lilac markings (including some very flashy legs), a nice crimpy fleece and 4 well set horns. This impressive boy came to us in a trade - his pedigree is unknown, but we feel that based on his appearance he is worth using even with unknown ancestry. Sherlock is a large ram with some of the most impressive horns we've ever seen, a long open fleece and all standard JSBA markings. Sire of Nyx and Danushka. Jasper was brought in for his impressive horn structure, lighter coloration and as a bonus he carries lilac. Jasper also has a long, open fleece and some lovely old west coast lines. Sire of Andromeda and Zuriel. Ares is the first son our matriarch, Athena, has ever given us. He carries a fine, very crimpy, long and open fleece, which he has proven to pass on readily to his lambs. 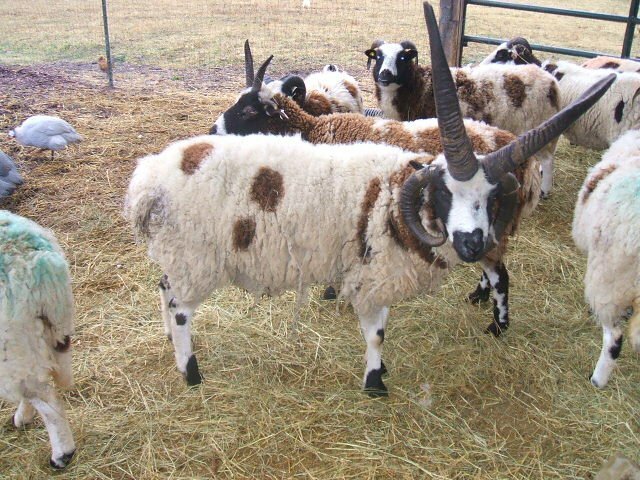 Ares also has 4 well set, striped horns, with excellent lateral sweep. 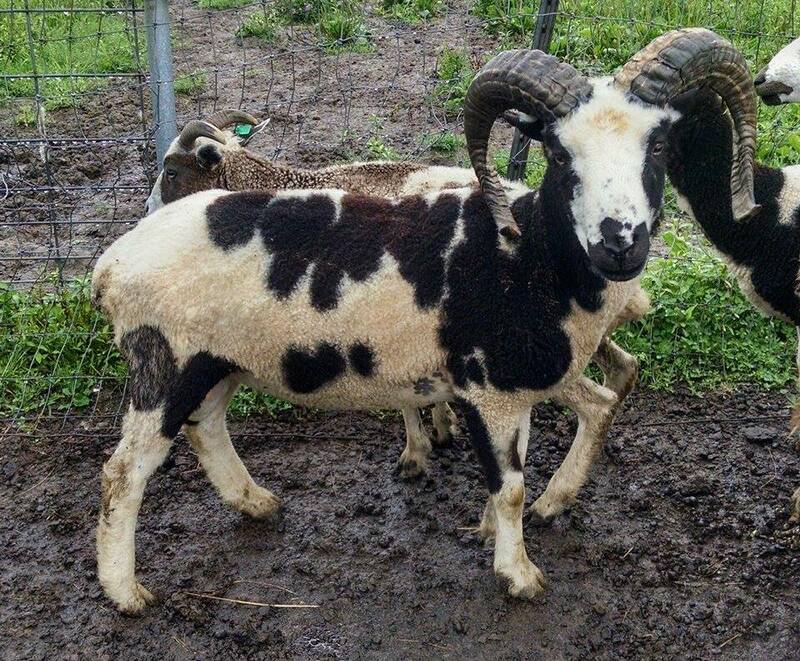 Ares is an extremely well mannered ram, who is respectful of humans, but melts like butter when caught and haltered. Sire of Mallory, Piper and Aoife. Sire of Eibhlin and Ares (retired). Sire of Susie, grandsire of Zuriel. Sire of Kennedy and Ire. Sire of Parley (retired), grandsire of Dory. Sire of Arabella and Amelia, grandsire of Yael, Skye and Cleopatra. Sire of Artemis, Calypso, Nicco and Rhea, grandsire of Andromeda and Machiavelli (retired), great grandsire of Susie, great great grandsire of Zuriel. Sire of Aphrodite and Chase, grandsire of Machiavelli (retired), great grandsire of Susie.